The 500 calorie diet is without question a very effective way of losing weight and maintaining a healthy lifestyle, without cutting back on the foods you enjoy. Continue reading or use the navigation below to jump to the relevant sections. 1.1 You’ve probably heard of the 5:2 diet…? 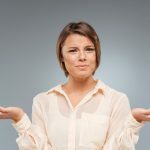 3 Is the 500 Calorie Diet healthy? 3.1 How Long Should You Keep This Up For? It really is as simple as it sounds, and involves restricting your daily calorie intake to 500 calories or less on certain days. This type of dieting is now popularly known as intermittent fasting. As this is a form of very low calorie diet, it is advisable to consult your doctor before you embark on this type of diet, and also you shouldn’t do it for more than two days a week, as popularized by the 5:2 diet. 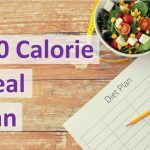 While most normal diets force you to cut back on certain foods all the time, creating a calorie deficit which helps you to lose weight, in the 500 Calorie Diet you eat normally most of the time, and instead create your calorie deficit only on specific “fast days”, by cutting your intake right back to 500 calories. This means that you are thinking about dieting for less time, and you start to see results immediately. You’ve probably heard of the 5:2 diet…? The 500 calorie diet is most closely associated with the 5:2 diet, which advocates eating normally for 5 days a week, and only consuming 500 calories a day for the other two days a week. Despite recent popularity, there is some confusion around how the diet should be referred to. Don’t be surprised if you see it written 5 2 diet, 5 and 2 diet, 5 to 2 diet or even 2 5 diet, they’re all the same thing. This type of low calorie, intermittent fast diet also fit well with low carb regimes. Carbohydrates tend to be calorie dense, so leaving cutting them out on your fast days allows you to eat a larger volume of food, which keeps you feeling fuller for longer. Similarly, it can also fit in with some more natural diets like the Mediterranean diet. 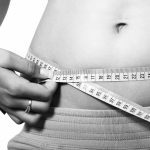 Lose weight quickly – The 500 Calorie Diet, is a very effective way of losing weight quickly, especially if you are sensible about the calories that you consume on the off days. If you are working towards a specific weight loss goal, intermittent fasting days, where you only consume 500 calories will definitely help you to get there in a short amount of time. See results fast – Not only will you achieve your overall target weight very quickly, with this diet you’ll start to see results immediately. This has a vital role to play in keeping you motivated, as it provides quick feedback that you’re on the right track. Low cost – Unlike some other diets, you don’t need anything to lose weight using the 500 calorie diet. You don’t need to join any specialist programs, or purchase any expensive supplements (You’ll find all the information you need to get started right here). Completely natural – Further to the above point, there are no supplements in this diet, it’s completely natural. There are no herbal remedies, or anything else with questionable side effects. Intermittent fasting actually resembles the type of diet our ancestors would have, when the hunter gatherers went through times of famine and feast. Difficult to stick to – If you don’t plan your meals correctly, you might be tempted to break from the routine and exceed the 500 calorie limit. When you’re starving hungry it can be difficult to find the will power, and instead you think “I’ll just to a fast day tomorrow”. Having a few recipes for easy low calorie meals up your sleeve can really help with this. Tired and sluggish – Further to the point above, even if you do plan well, you might find that you’re tired and sluggish due to the lack of calories. This might have an impact on your work, your exercise or other things you have going on during the day. 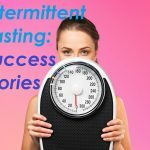 Read about other side effects of intermittent fasting here. Is the 500 Calorie Diet healthy? While some regard the 500 calorie diet as unhealthy, as we pointed out above, intermittent fasting is actually a very natural way of maintaining a healthy weight. If you think back to our early ancestors, or animals in the wild, some days they will hunt successfully and will find a good meal, while other days they might struggle to find anything to eat at all. The body can be said to be anti-fragile in the sense that it actually gains from adversity. By putting your body under stress it can become stronger. That being said, you shouldn’t put your body under an unnecessary level of strain. We would not advise fasting for more than a couple of days per week, and try to avoid fasting for 2 days in a row. Your approach to weight loss and fitness goals will depend on a wide variety of things. My personal outlook has always been to enjoy my food as much as I can, whilst maintaining a healthy physical condition. In other words, don’t overdo it. Tasty food is an important part of life as much as being healthy is, so you need to find a balance. How Long Should You Keep This Up For? People often wonder whether they could live on 500 calories for longer than two days a week, and whether they could go for a week or even a month(!) on 500 calories a day. Frankly this is not something that we recommend. We don’t advise that you do this for more than a couple of days per week, as outlined in the five two diet. Ultimately, we don’t condone diet tactics you couldn’t sustain over the long-term. Crash dieting is certainly not something you should be thinking about. Making long standing lifestyle changes, that can become a natural part of your everyday life, is a much more sensible way of attaining and maintaining a healthy weight. If you are thinking of going for longer than a couple of days on 500 calories, I would suggest speaking to your doctor (I’m confident that they’ll tell you not to do it!). This article explores some of the implications of fasting for longer. Cutting your intake to 500 calories a day sounds like a straightforward way to lose weight, but is it really that simple? Starting out on 500 calories a day can be very difficult. Drastically reducing your calorie intake can leave you feeling tired, sluggish and hungry all the time. Fortunately there are several things you can do that will make the transition easier and will help you make it through the day without giving up. Following these simple tips will help you achieve intermittent fasting success. Any kind of restrictive diet is really a battle of the mind. Physically most people can get through a day on 500 calories pretty easily, the question is whether you have the will power and strength of mind to continue when it starts to get tough. Tell yourself “this is going to be hard, I know it won’t be easy, but I’ve decided to do it and I’m going to stick it out. If I hate it I never have to do it again, but I’m going to do this one day at least”. 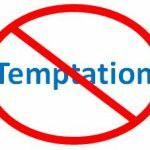 Creating a 500 calorie meal plan in advance puts you in the best position to remove temptation. Cooking up a batch of healthy frozen meals and low calorie sauces will stand you in good stead. 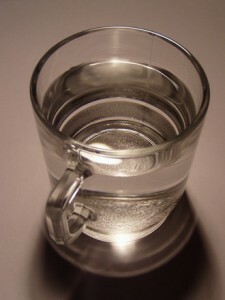 Water – Make sure you are well hydrated all day. Hunger is often mistaken for thirst, so if you’re trying to get through the day on 500 calories and you’re not drinking enough water either, you’re making it unnecessarily difficult on yourself. Low calorie drinks – Typically, diet sodas are something you should try to stay away from, but they can play a very useful role in a low calorie diet. A can of Diet Coke contains less than 1 calorie. When you’re feeling hungry, instead of going for a snack, think about having a diet soda. If you are trying this tactic it is important that you make a ritual of it rather than just taking a sip from a bottle. You can use black coffee, Oolong tea or green tea in exactly the same way. On the flip side, don’t waste calories on liquids. A glass of OJ will most probably contain over 100 calories and won’t keep you full for long. If you start the day with a chocolate bar, it’s going to feel like a very long day. Be clever about the type of calories you’re putting into your body and 500 calories might not seem too bad at all. 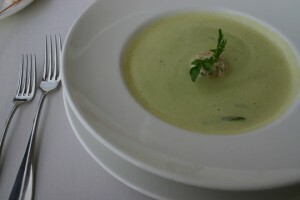 Soup – Soup is an excellent choice as it fills you up and it is usually very low calorie. Another tactic is to buy a small tinned soup (Think Heinz 300g) and add boiling water once cooked to fill it out even more. Eat lots of vegetables – Vegetables are generally very low calorie, require little or no preparation and importantly, they are very filling. Celery is a great example. At generally under 5 calories per stalk, you’d have to eat a lot of celery to get anywhere near the 500 calorie limit. This makes a great snack to crunch on throughout the day. Not all vegetables are created equal however, sweeter veg like carrots or corn contain far more (though still pretty low) calories. Compare a medium size carrot, raw, which will typically contain somewhere in the order of 30 calories. This actually isn’t a bad combo for a lunch time snack when you’re trying to stick to 500 calories a day. Three sticks of celery, and one carrot (sliced into batons) will fill you up reasonably well and has less than 50 calories in total. If you want spice things up a bit, a small amount of chili sauce makes an excellent addition and contains hardly any calories. The added benefit of this is that you’re getting a good amount of healthy vegetables into your diet. Through all of this, don’t get too hung up on the specifics of calorie counting, getting it roughly right is good enough. Eating in the morning kick starts your metabolism. On a normal diet this is a good thing, but on the 500 calorie diet it’ll make you hungry quicker. A tip that has worked for me in the past is to avoid eating first thing in the morning and you should be able to hold out until lunch (especially if you use liquids as suggested above). 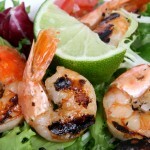 For more information, see our dedicated article on how to eat 500 calories a day and feel full. We’ve covered 500 calorie meals in the past, there are lots of healthy meals that are under 500 calories. These are really handy as part of a low calorie lifestyle, but they generally won’t help you get through a day on 500 calories. In my experience, I’ve found it to be easier if you spread the calories out over the day. As we often say on 500 Calorie Fitness, there is no such thing as one size fits all. Play around with these recipes and meal plans and find something that works for you. Experiment with making your own 500 calorie meals, and building your own diet based on the foods you like. 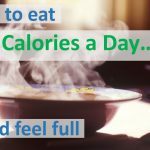 Sites such as caloriecount.com offer a wealth of information about the calorie content of different foods, so you can easily work out how many calories you’re getting from each meal. A word of advice on this, how you prepare foods will have an impact on the number of calories, for instance a fried chicken breast will have more calories than if you grill it. Sounds obvious but it’s easily overlooked. Think about the types of food that you like, how long you’re prepared to spend cooking etc. If you have a nice meal to look forward to in the evening, it can make the rest of the day a lot easier. 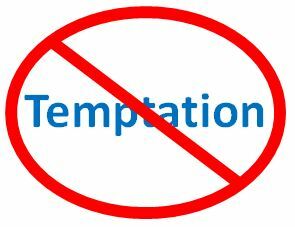 Also, if you’re planning something that will take you a long time to prepare, you’re more likely to be tempted to cheat and have something else. Remember, this plan is just one of many possible approaches. You might instead decide to start your day using one of our suggested low calorie breakfast ideas, and spread the rest of your 500 calories out across the day. If you take the advice outlined above and follow the plan, you can expect to achieve results fast on a 500 calorie diet. We’ve covered success stories from intermittent fasting before, but how have people done from focusing specifically on 500 cal per day? David Wallace lost an astonishing 40 lbs in 40 days on the HCG diet, and restricting his calorie intake to 500 cal. Even celebrities have used this type of low calorie diet. Anne Hathaway reportedly cut her calorie intake to under 500 a day in order to slim down for scenes in Les Miserables. There are many variations of this. You don’t have to stick to 500 calories a day at all. If it is not working for you, try again at 600 or 700 calories. Find a level that you can stick with that isn’t too taxing. Or if you wanted to ease yourself in, you could start at 800 calories a day for two days per week and gradually work your way down to 500. Combining a healthy 500 calorie diet for a limited number of days per week, with a light exercise program will ensure you lose weight in the shortest time possible, while also maintaining a good level of fitness. You don’t have to sign up to an intensive program at the gym, light exercise at home will probably be all you need. If weight loss is not your primary goal, this is still an excellent method for maintaining your physique without cutting back on life’s pleasures. The ideal scenario is that you find a diet and lifestyle plan that works for you over the long term. For many, intermittent fasting as proven to be effective at achieving this, particularly when you shape the 500 Calorie Diet to meet your specific needs. If you struggle with the 500 calorie days, don’t lose heart, stick with it and it’ll get easier. So why not give it a try? 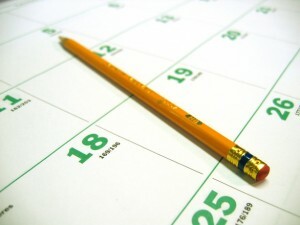 Pick a day that’ll work for you, when you have full control over your schedule so that you can plan your meals and give it a go. If you have any specific questions on the diet, or would like more information, don’t hesitate to get in touch.